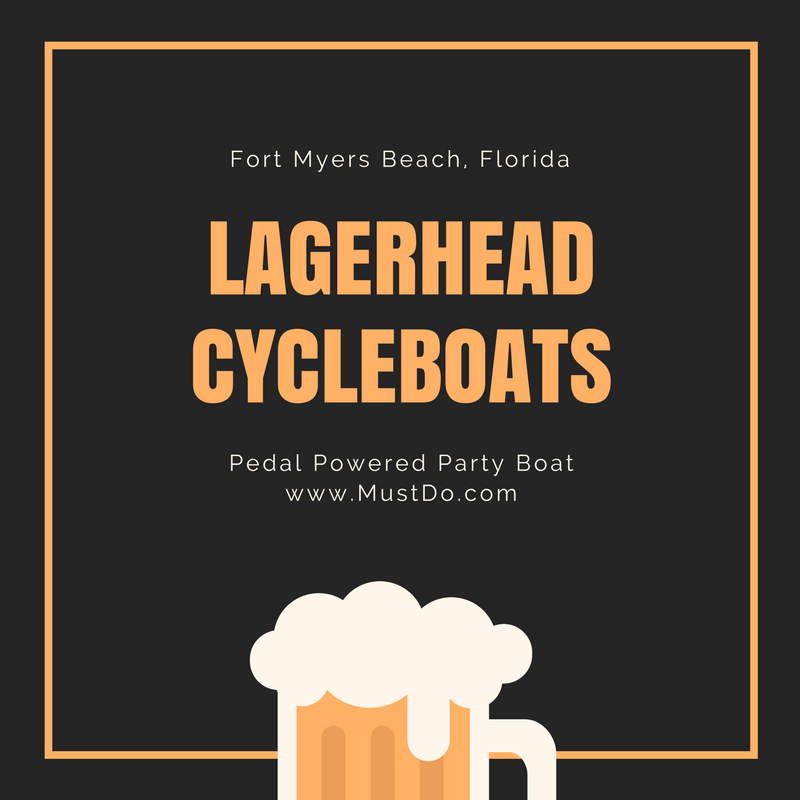 Lagerhead Cycleboats are all about pedaling your way to a fun party! Taking its name (loosely!) 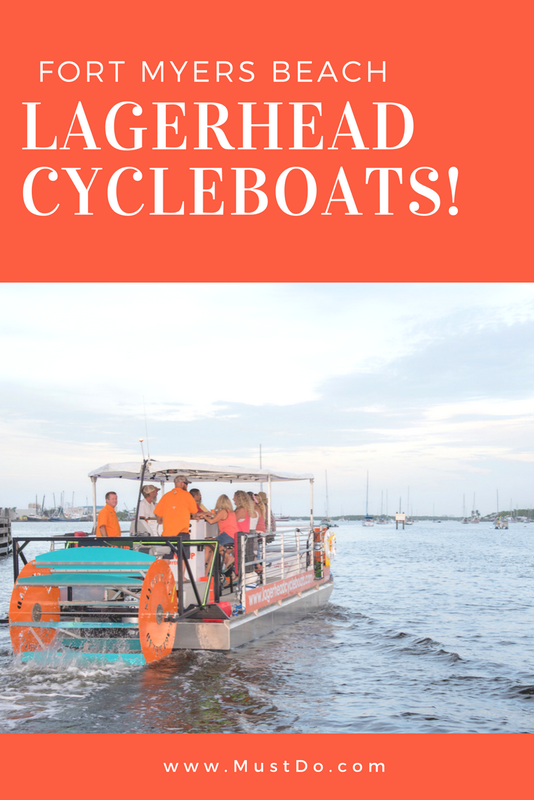 from the endangered loggerheads that inhabit the warm Gulf waters around Southwest Florida, Lagerhead Cycleboats are keen on nature conservation. In fact, their clean eco-friendly cycleboats are all powered by…YOU! Designed as party boats, this fun attraction doubles as a floating bar, so you can cycle, sip, and sightsee all at the same time! Catering for groups of up to 15 passengers, Lagerhead Cycleboats have a two-man crew to steer and navigate. All you have to do is sit back, enjoy the view and turn those pedals of course, or else you’ll be going nowhere. These boats can be geared for different levels of fitness and can be used by as few as four guests (there’s a motor too, just in case!). Board the pedal-powered pontoon boat at Salty Sam’s Marina on Main Street in Fort Myers Beach, Florida. Pre-booking is required. Bring ID and check in with one of the orange-shirted staff/crew. 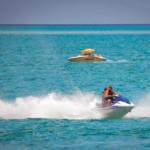 Then get set for a fun two-hour cruise with plenty of laughter and fun along the way. This unique cycleboat is an adapted 31-foot catamaran with a center bar on the deck. You and your friends can choose to sit at one of the 10 bicycle-style seats at the mahogany bar and rest your feet on the pedals awaiting orders! There are also bench seats for those who want to take a break. 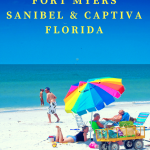 Then it’s all hands on deck as you cast off and set sail (figuratively speaking) out of the marina as your captain navigates through the calm waters of Matanzas Pass. Your cycle-cruise will take you past islands, homes, boats, and beaches with the opportunity to see local wildlife. 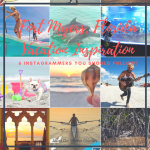 Pelicans, seabirds, fish, manatees all inhabit these clear warm waters and playful dolphins may swim up for a closer look. You’ll see plenty of breathtaking scenery as you pass by. 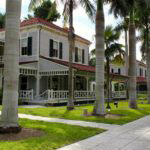 The trip includes a stop at a local waterfront bar/restaurant along the way or you can BYOB (beer–36 oz. limit per person or a bottle of wine–18 oz. limit per person). Ice is provided from the onboard cooler. It all adds to the fun as you sit around the bar sipping a tropical drink listening to your favorite music as you chatter. 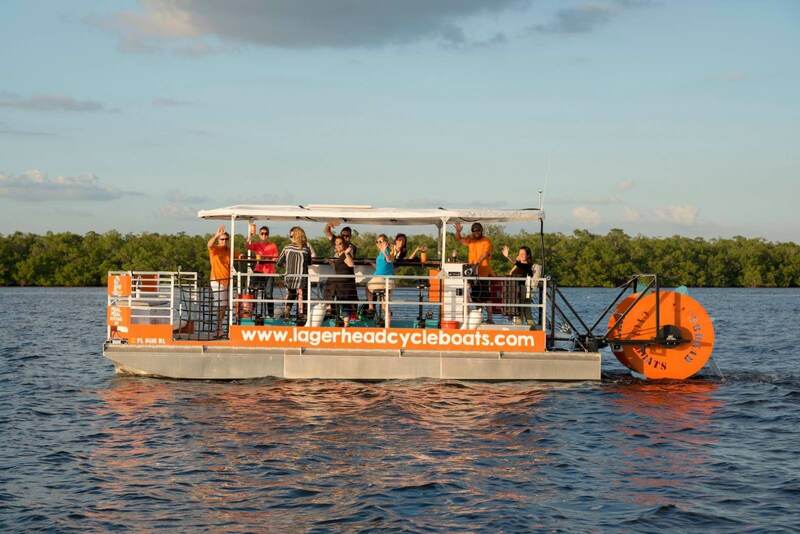 Lagerhead Cycleboats caters for all ages from 13 to 80 with different cruises to suit each group. Booze cruises are for those aged 21+ while dolphin and sunset cruises are ideal for families. 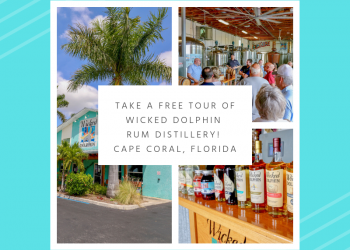 Opt for a two-hour Fun Cruise which includes stops at Nervous Nellie’s or Doc Ford’s Rum Bar & Grille for drinks and a bathroom break. You can bring your own drinks, party games, snacks, and music on your smartphone. The 90-minute Sun Cruise is suitable for families and is all about the scenery. 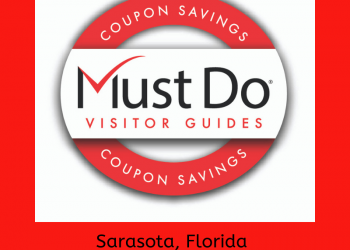 It includes a stop at a waterfront restaurant/bar. Bring your own beer, drinks, snacks, music, and camera. 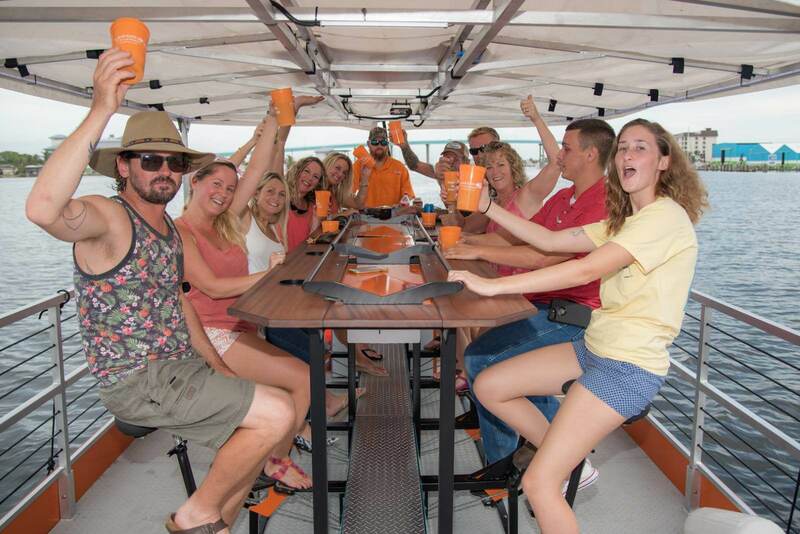 If you’re planning a corporate event or private party, what could be more fun than booking your own floating bar? 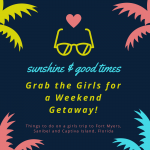 Book the entire boat and let your captain know where and what you want to do and he’ll make it happen! All too soon your cycleboat cruise will be over, but I know you’ll have so much fun you’ll soon be back for more!